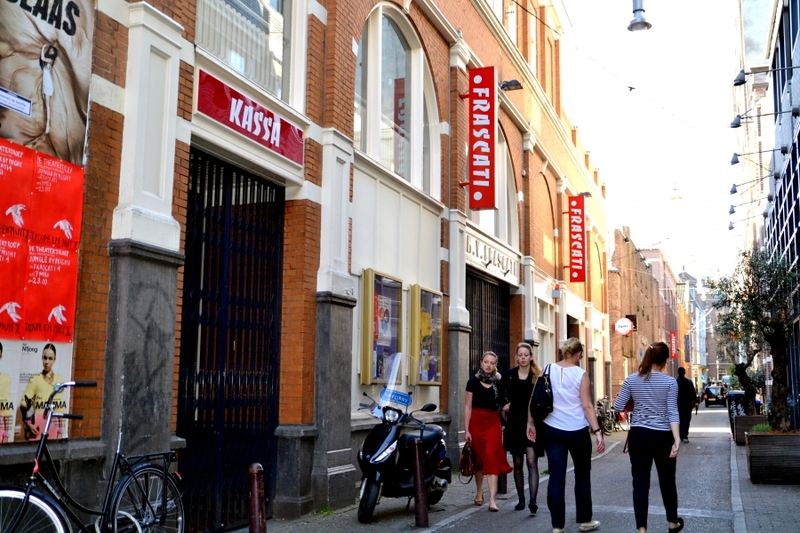 Frascati is a theatre in the centre of Amsterdam. There you can see great plays by established theatre makers and at the same time it is home to young and upcoming artists. Their work in progress is shown on a separate location. 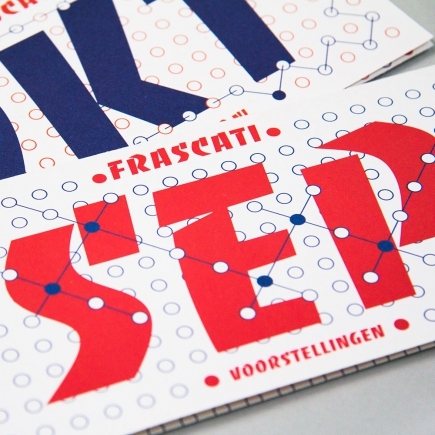 De Designpolitie developed the theatre’s identity and takes care of all visual communication. 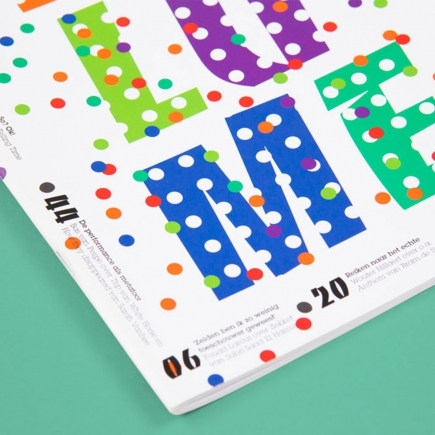 The identity is based on two connecting dots that can be used as raster, grid, confetti or other visual element. Next to this, the system uses a shouty and funky typeface: the bold and beautiful Banco. All this resulted in very vivid and recognizable communication.